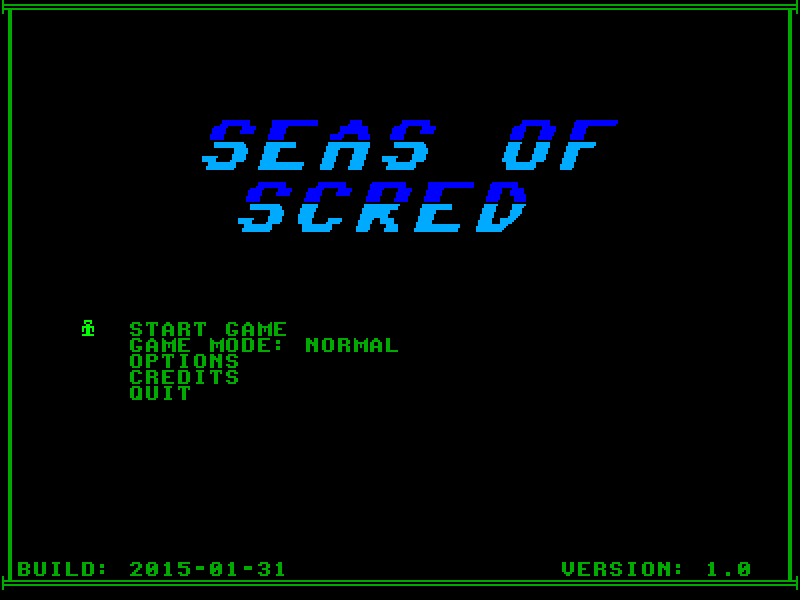 Plunge into the Seas of Scred. 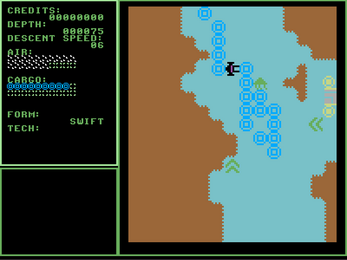 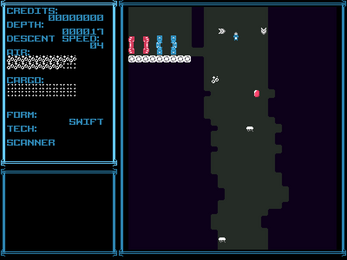 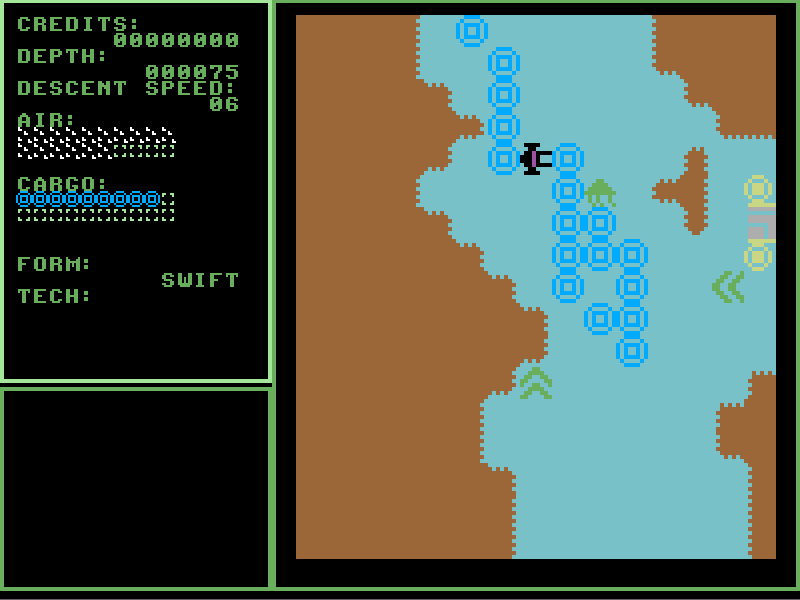 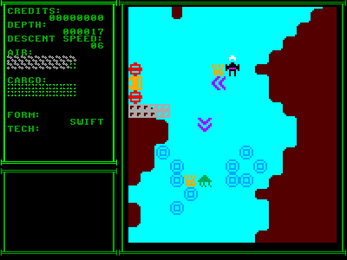 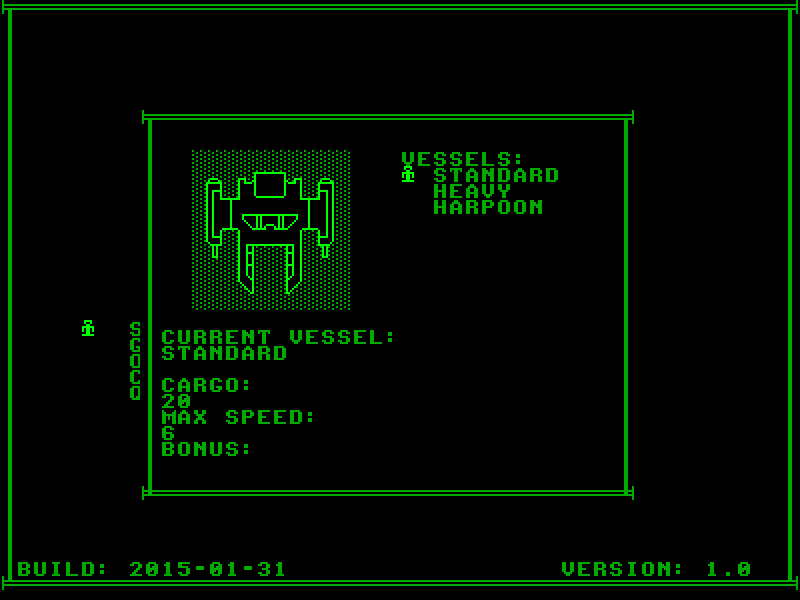 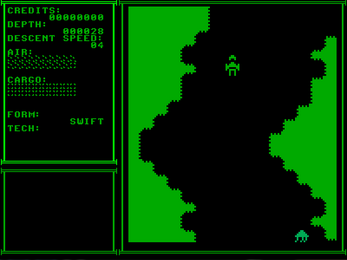 Seas of Scred takes on a playstyle similar to River Raid and other older games. 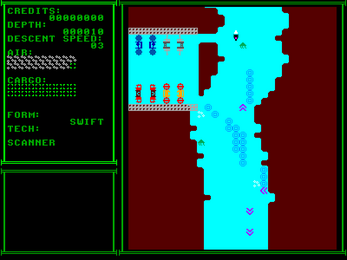 Pick a submarine and guide Ruby (the Marine Biologist!) 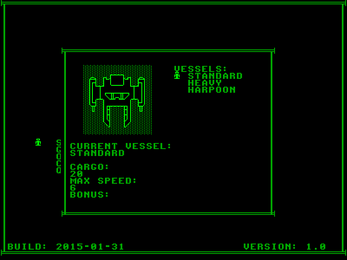 as she attempts to acquire enough credits to purchase a new research vessel (The Unsinkable II.... don't ask). 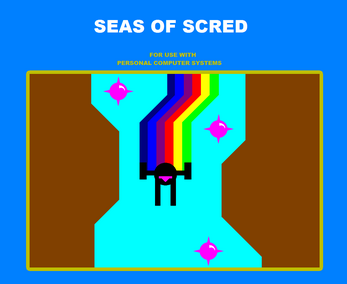 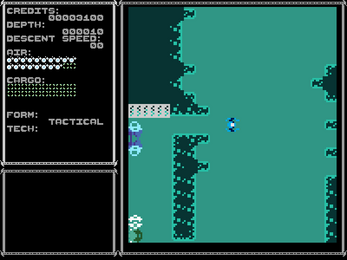 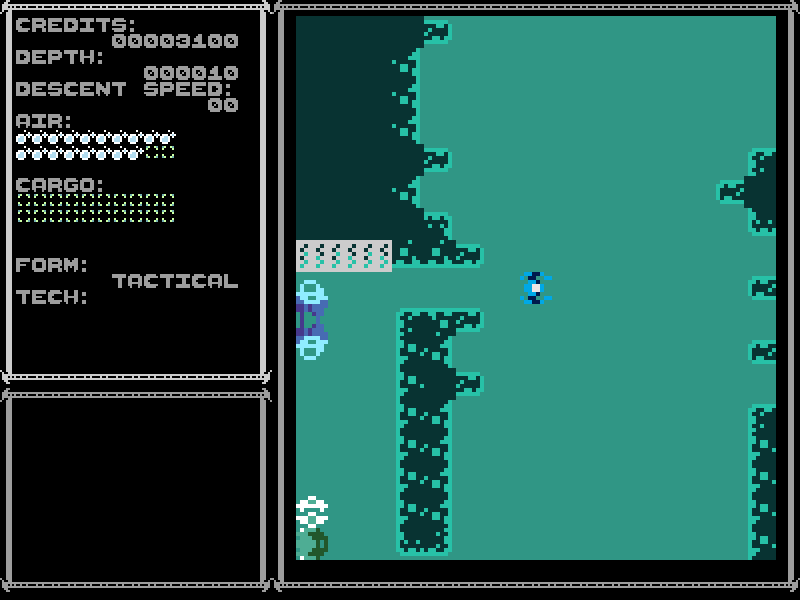 The trenches are viciously tight, and sadly someone dropped sea mines down there as well, so you'll need to be under control in.... the Seas of Scred! 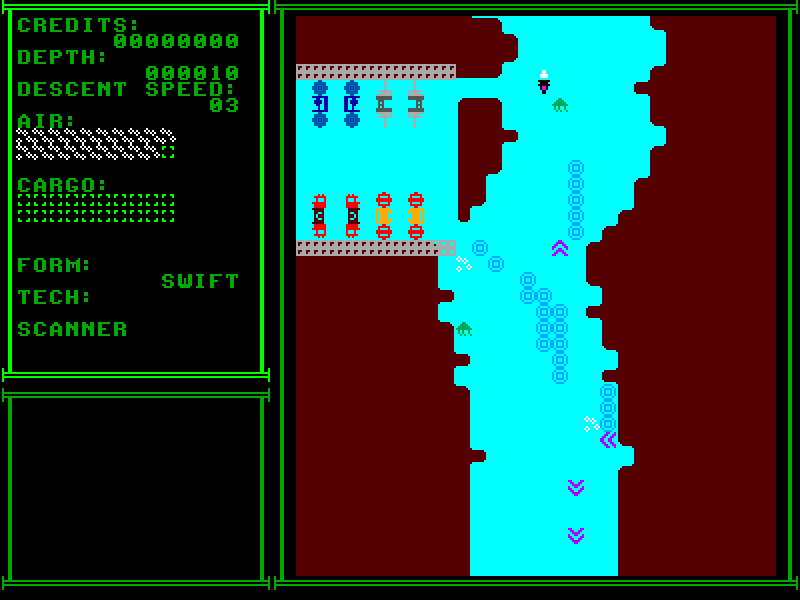 Alternate graphics modes - EGA, Monogreen, C64 and two sets from the awesome CNIAngel! 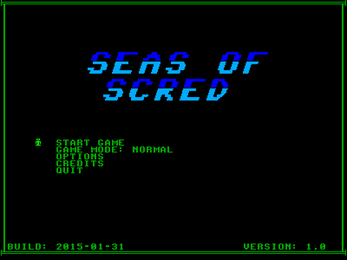 Game Modes - Normal, Seed Zero (a standardised seed) and Daily!